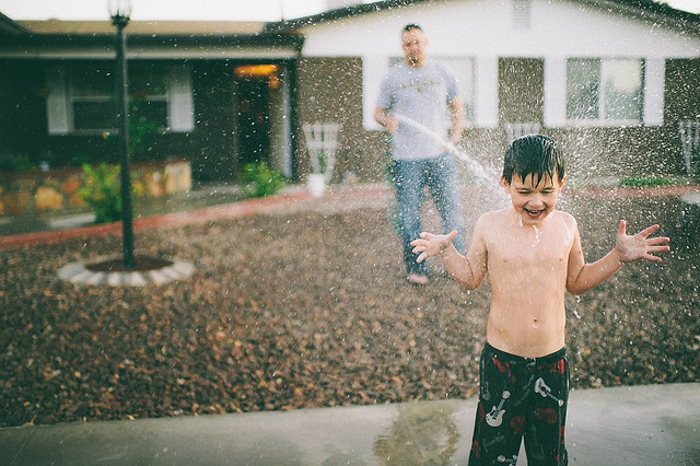 Kids love to soak up the summer in the outdoors, but with all that running and jumping comes the possibility of cuts, scrapes, bites, and broken bones. Summer vacation means something different to every family. Some travel for a few weeks of the season, while others stay home and recuperate before the next school year begins. But if you’ve got young and adventurous kids, it doesn’t matter where you find yourself during the summer — you’re bound to encounter a boo-boo or two. Before we dive in, please note that this advice is only intended for parents dealing with the most minor of maladies. An even slightly more serious injury requires immediate professional medical attention. In the event that the affliction is relatively minor, all you’ll need to treat your kid’s scrapes and scratches are some liquid disinfectant and a Band-Aid. The first step is always to stop any minor bleeding by applying pressure to the wound — a tissue will usually suffice. Remember that a wound can ooze small amounts of blood for up to 24 hours, and you may also see some yellowish or bloody liquid appear intermittently over the next several days. If the bleeding is more intensive, elevate the injured area to help stop the flow a bit quicker. When the bleeding subsides, you need to determine the extent of the injury. To get a clear view of the cut or scrape, it’s best to clean the wound under running water. If a sharp stick or rock is the cause of injury, it’s best to disinfect the wound as well — an over-the-counter disinfectant should do the trick. Remember to prepare your little one for the sting that’s in store, and try to work as quickly and thoroughly as possible. If there’s a splinter in the wound, make sure to get it out before disinfecting. While cleaning the wound, also be careful to remove any debris, like small rocks or dirt. Your little wounded soldier will probably feel better if you put a Band-Aid on it (even if it’s not necessary), so have a few ready on-hand. Of course, it’s best to seek immediate medical care if you are suspicious that your child’s injury is a break or sprain, or if it was caused by a rusty and possibly infectious object. Deep cuts and consistent bleeding are also signs that you should head to the emergency room. And remember to take all animal bites seriously. Although the emergency room is sometimes necessary, it’s hard not to think about the piles of medical bills that accompany every visit. Luckily, medical care doesn’t have to mean raiding your child’s college fund. With SingleCare, you can find a medical practitioner to suit your budget and location; the online platform can help you search for a doctor in your area and make an appointment right away. When your treasure hunter, adventurer, gymnast, or future sports star takes a tumble and a quick hug can’t do it all, SingleCare’s got your back. Affordable, quality medical care is only a few clicks away.